At Onpack we are able to offer beer bottle & can labels as well as keg branding and keg collars for the Craft Beer and Cider industries. Using the latest state-of-the-art print technology,we are able to supply businesses with branding across multiple substrates and adhesives with requirements for both manual and high-speed application. Our printing capabilities allow for short, medium and long runs. 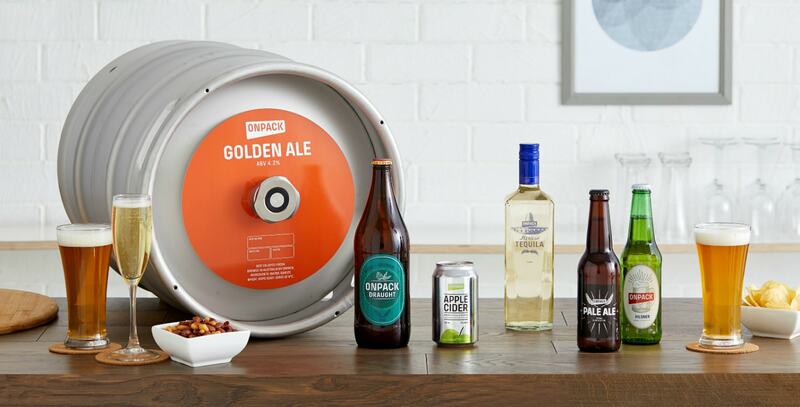 We offer shortened lead-times, reduced costs and high-quality print for your personalised beer labels. Various materials such as white paper and polypropylene, clear (see-through) and metallised silver for a foiled-look, allowing for your label to be customised to its requirements. We can advise solutions for application and ensure the label performs in all situations including ice bucket environments. 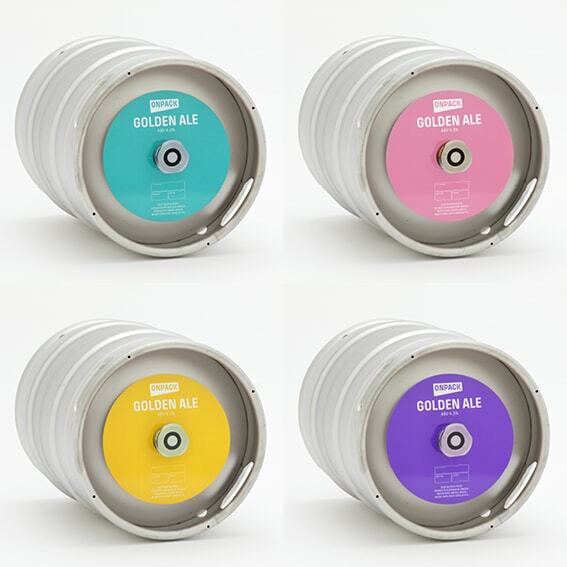 Our keg branding options include side labels for instant recognition within any keg room environment. The keg collars allow for variant branding and all other info showing batch, ABV and IBU, plus any tasting notes pertaining to that particular brew. For more information on our Keg Collars, please visit our Keg Collar Service page. Supplying an exceptional finished result befitting each unique product. Able to customise the adhesive and stock to ensure adherence after refrigerating or ice bucket environments. Variable Data capabilities for printing of batch and brew details across multiple labels. Our dedicated team can provide personalised solutions to suit each unique labelling requirement, ensuring that your packaging perfectly suits your brief in design, material, adhesive and quality. Follow the links to request a Sample Pack or quote.